Seventh in a series of blogs written by Josslyn Streett of Rain Shadow Reiki for her series on nutritional healing and juicing. I made it though Day 3 pretty easily other than the many visits to the potty room that you may have read about in blog #6, ‘My First Colonic and Day 3’. Day 3 is famed to be the most difficult day from what I’ve heard and read. Although, I looked ahead in the dietary plan today and so far they’ve been pushing so many vegetables on the collective ‘us’ that we can’t eat them all. On Day 6 I get to have juice for breakfast, late breakfast, lunch and after that only coconut water. Hmmmm, we’ll see how that goes. Sleeping is one of the issues other Rebooters have brought up as being difficult during the reboot, last night I hit that milestone. 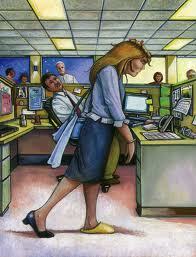 I was so tired yesterday that I feel asleep while meditating and slept for two hours from 4pm to 6pm. Not only did that mean I was extremely late in preparing the vegetables for dinner but I didn’t sleep most of the night other than some dozing here and there. Late afternoon naps are the kiss of death for my sleep cycle. I never do them, on purpose, that is. So, the extreme fatigue set in today on a day when I had to go back to the grocery with my two boys and prepare many large new vegetable dishes. Now, I’m pretty good at knowing my strengths and weaknesses, and I know that I’m an intuitive and caring Reiki Master, love what I do and work consistently at it. I’m an excellent healer because I don’t give up on myself or others. I have learned so much though my own process that I am now are able to help others. I’m a slightly above average but hard-working writer, very to the point and able to explain difficult non-tangible situations in a very easy to understand tangible way. I’m not highly creative in my writing or filled with poetry, but, if you are an ADD, spiritualist, clairsentient, light-worker – I’m your blogger. As a cook, well, that is where my confidence wanes. Being ADD (Indigo is more my definition), I do not read cook books well or instructions of any kind. So, I’ve never been a very good cook. I’m better when someone shows me and does it with me. I cook what I know, what tastes good, usually what’s quick and easy and what my family likes. Usually when I cook new stuff my boys complain that I’m giving them too much variety. That’s boys for you. So, where has my motivation been to cook more and different until now? 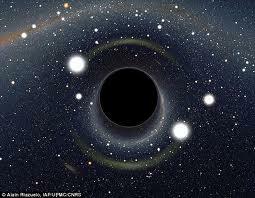 In the void, as my son says, the black hole. Currently, I’m motivated by a much healthier body and life. I’m doing it for me and I’m doing it all myself. So, tonight, when the extreme tired kicked in and I had three veggie dishes to prepare, some of the old self-confidence issues raised their ugly heads for me to look at. Look at it I did. While chopping, I have lots of time to look in the proverbial mirror and see what I want to change. I decided to stop listening to the old records that said I couldn’t do this without help, or that I couldn’t figure it our correctly on my own, and I just did it. However long it took, however much I may mess it up, I pushed on through. I put on some motivating music, for me this could be anything from hip hop to country to reggae. Tonight, it took long enough it was a bit of all of them. I got lost in the chopping, the music and the beautiful scene of the Strait of Juan de Fuca out my kitchen window. I can watch the summer cruise ships pass by me and the San Juan Islands as I chop and it’s lovely. And, you know what, the dishes, although a little late, turned out great! Even my boys liked them and they were 99% made of vegetables! These wonderful Reboot Your Life Recipes can be found on Joe Cross’ Website “Join the Reboot” the ten-day plan. Baked Zucchini recipe made two baking dishes full. Sorry about the photo, I forgot to take photos until dinner was over and I was packing up the leftovers. Sleep walking even after a nap. I am putting this recipe in exactly as it is on Joe’s website. Although I encourage you to add or take away items as it pleases your family. I personally would put one more tomato and more sea salt. Pre-heat oven to 425 degrees. Slice the zucchini in half crosswise. Cut each half again lengthwise, and slice each of the halves into 4 equal, 1/2 inch pieces. They should look like sticks. 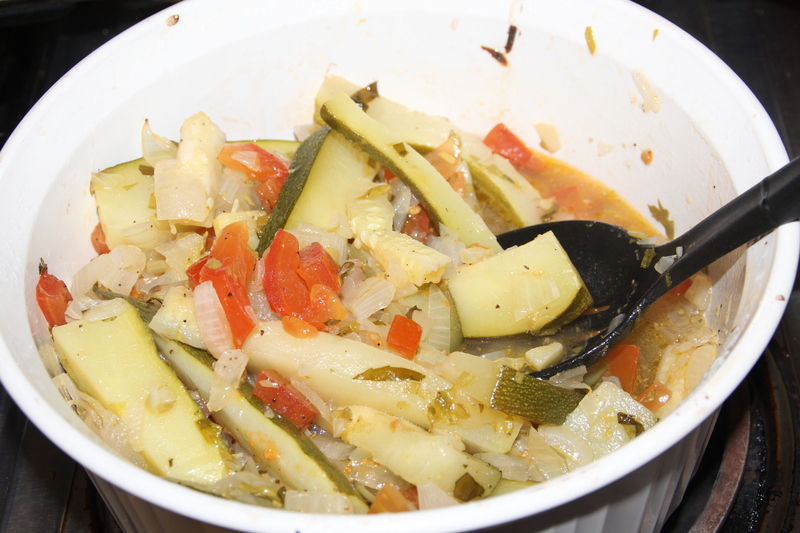 In a bowl, mix together the zucchini sticks with the white parts of the scallions, onion, tomatoes, celery leaves and basil. Mix in the olive oil, salt and pepper and toss to combine. Pour into a 3 quart baking dish and bake for 20 minutes (mine took 30 min.). Garnish with the sliced green tops of the scallions and the extra chipped basil. Sweet Potato and Carrot Fries, Yum a Dum Dum!! These are dessert to me they are so sweet naturally. With a bit of cumin and cinnamon on top, sweet and divine. Once again these wonderful recipes can be found under the PLAN section on the ten-day plan on Join the Reboot dot-com. Pre-heat oven to 425 degrees. Peel the sweet potatoes and carrots. Cut the potatoes in half lengthwise, and slice each half into 4 equal wedges. for the carrots, cut in half crosswise into two chunks. Slice each chunk lengthwise into 2 pieces, and cut each piece into 2 or 3 wedges, making them roughly the same size as the potatoes. 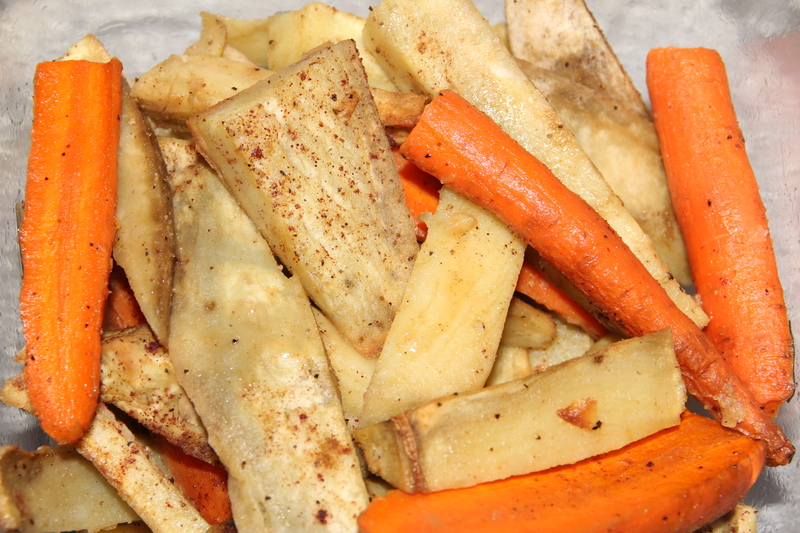 Put the potato and carrot wedges into a bowl and toss with the oil, cumin, pepper and salt. Arrange on baking sheet lined with parchment paper. Bake for 30 minutes or until the flesh is tender and the outside is lightly browned and the edges slightly crisp. They say it makes 2 servings but the four of us didn’t finish them all. Yum Josslyn… More delicious sounding recipes! You are inspiring with this endevour of yours! Way to go!!! !